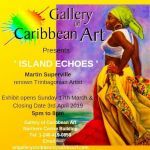 The Gallery of Caribbean Art invites you to the Opening Reception of their latest Art Exhibition entitled Island Echoes. 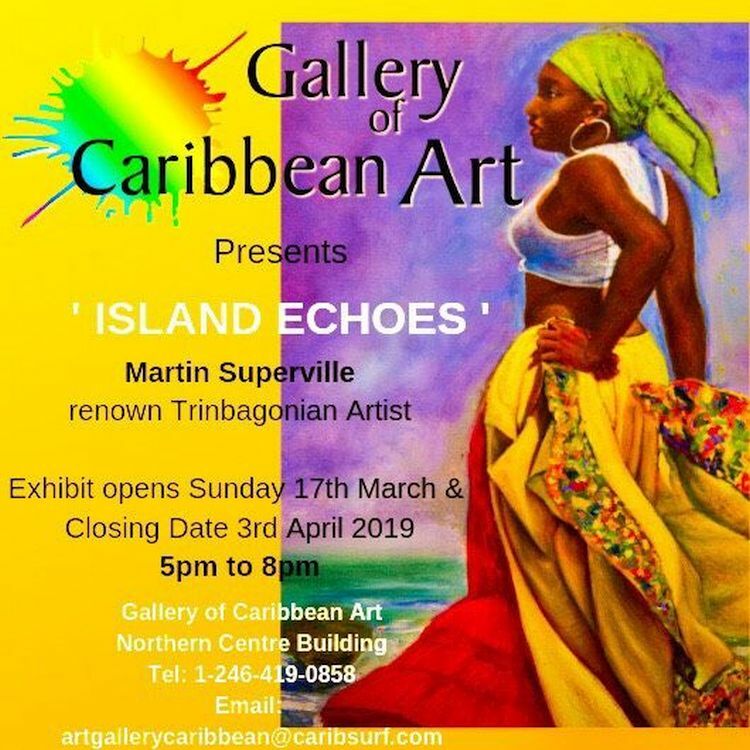 This is a showcase of artwork by Trinbagonian artists, Martin Superville. Exhibition ends on Apr 3rd, 2019.